Chennai, India. 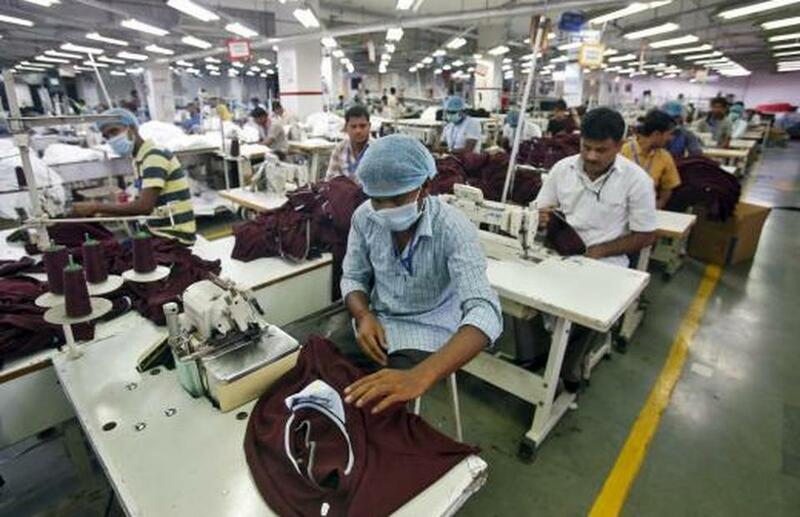 International efforts to make it easier for garment workers in India to speak out against sexual harassment, dangerous working conditions and abuses are failing, campaigners said on Tuesday (26/06). The US-based certifying agency Social Accountability International (SAI) and Britain's Ethical Trading Initiative (ETI) - an alliance of unions, firms and charities - are not enforcing procedures they set up to protect workers, they said. The two international groups, which have set up labor standards initiatives that hundreds of factories have voluntarily adopted, stood by their grievance procedures and said that claims that they were not robust were ill-founded. "When handling complaints, ETI seeks to promote engagement and reach practical collaborative solutions," an ETI spokesman said in emailed comments. From high-street clothing stores to supermarkets, major brands are facing rising consumer pressure to improve conditions along their global supply chains, render them slavery-free and ensure fair wages. But campaigners said the SAI and ETI initiatives in India were not bringing about enough change in working conditions. "The organizations are violating the rules of the mechanisms they created by not taking time bound action against complaints that come up," said S. James Victor, director of Serene Secular Social Service Society, which works to empower garment workers. "They are far removed from ground reality. The fact is that every day a worker continues to face workplace harassment in the spinning mills and garment factories of Tamil Nadu." Many of the 1,500 mills in Tamil Nadu state - the largest hub in India's $40 billion-a-year textile and garment industry - operate informally with poor regulation and few formal grievance mechanisms for workers, most of whom are women, campaigners say. "Workers are being victimized, harassed and managements are literally going after them for raising any complaint," said Sujata Mody of the Garment and Fashion Workers Union, which has about 3,000 active members. "The issue could be about a toilet break, sick leave or sexual harassment. No complaint is tolerated or redressed." Following reports that girls as young as 14 were lured from rural areas to work long hours in mills and factories without contracts, and often held capture in company-run hostels, global rights groups have tried to improve accountability. Manufacturers who comply with voluntary labor standards introduced by SAI receive certification, with some 300 certified factories employing about 64,000 workers in south India, according to SAI senior director Rochelle Zaid. But forced labor, sexual harassment and repression of unions are not being properly addressed, Dutch advocacy groups India Committee of the Netherlands (ICN) and the Centre for Research on Multinational Corporations (SOMO) said last week. After the charities complained about abuses at two SAI-certified mills, one lost its certification after a 20-month procedure but the other continued to operate, they said. SAI is constantly upgrading its program based on feedback, has increased the number of unannounced audits and improved accountability to ensure timely response to complaints, Zaid told the Thomson Reuters Foundation in emailed comments. But trade union president Mody said that workers' committees set up to handle complaints internally do not work. "It is only on paper," she said. "We have at least 10 written complaints of sexual harassment pending before the Tamil Nadu government," she added, referring to cases brought by workers in SAI-certified factories. ICN and the UK-based Homeworkers Worldwide rights group also said their complaints to the ETI about forced labor were investigated slowly, workers were not consulted about the grievances and no remediation plan was made to address them. ETI said on its website on Wednesday that the complaints had been addressed as a spinning mill facing criticism joined ETI's rights education program while a garment factory "re-engaged" with it. "Workers are consulted through baseline surveys, and through the regular contact of our teams," ETI's executive director, Peter McAllister, added in emailed comments on Wednesday.